CTBaker in the Acres: Thanks, Papa! 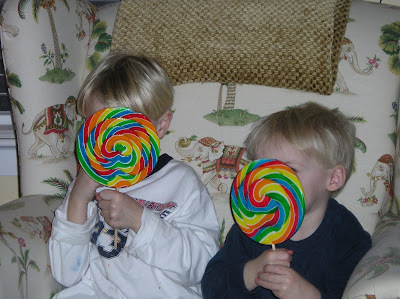 Who's hiding behind those giant lollipops??? 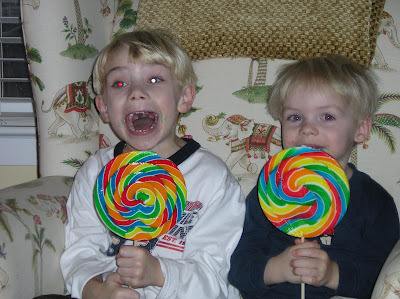 Back in the fall, Papa thought it was a nice gesture to bring the boys a bag of 300 dum-dums. I guess he thought we had polished those off already and that he'd better bring them something bigger and better! Thanks, Papa!! !